Crossing the border into Macedonia we were instantly welcomed and had a friendly chat with the security guard who wished us well on our travels. Good border crossing experiences make all the difference to your first impressions of a country, and as we were only planning on being in Macedonia for a few days it set us off to a great start. We stocked up on food in Debar where the friendly Albanian shop assistant taught us a few words of Macedonian and gave us some free mineral water. 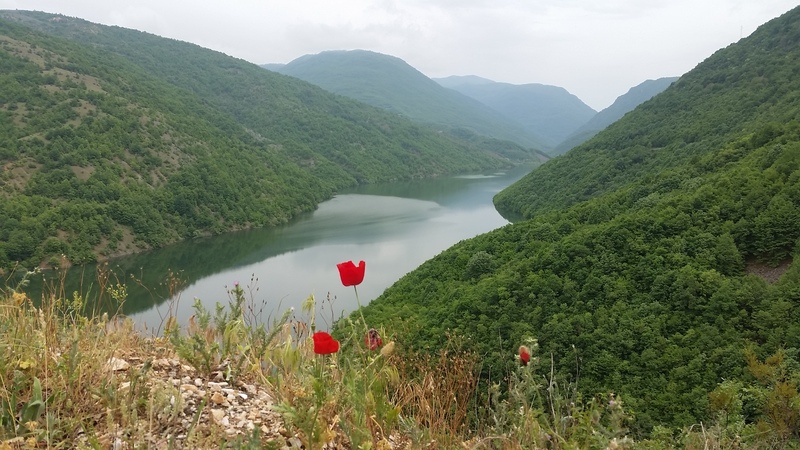 From Debar to Struga the road follows the river gently undulating upstream past a few dams. The landscape is lush green forest and dark blue rivers and lakes. Sadly though the small villages seem to use the tributaries and streams as rubbish chutes. We take our rubbish and recycling collections for granted back home, but there appears to be little infrastructure here. Large 1200 litre wheelie bins can be found on the sides of the road but were often overflowing. It was a similar story in Montenegro and Albania, where the practice of piling up rubbish and burning it on the side of the road was common. The most visible waste streams were always plastics. Whilst in Western Europe we’re slowly waking up to the problems of plastic pollution, in the Balkan states there’s a lot of work yet to be done. A huge challenge considering the corruption that is still appearing in local politics. No rain, no lush green forest - we’ll take the rain! 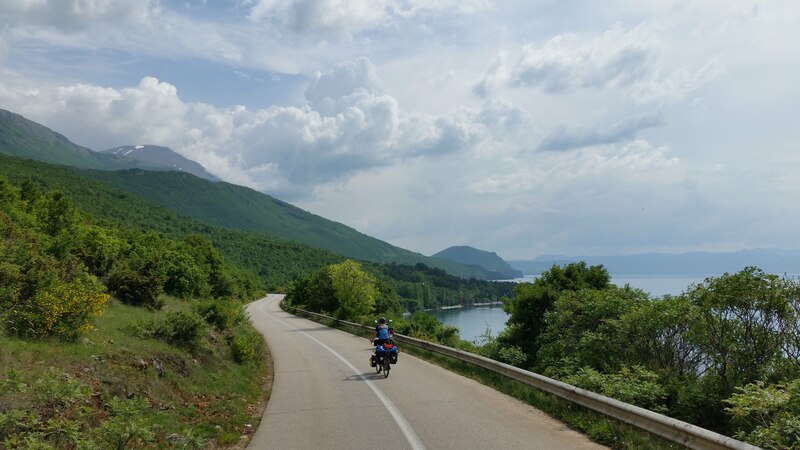 When planning our route through Macedonia and Albania we looked at the Red Spokes tour routes and passed a few big cycle groups. Nice to see other cyclists on the road - locals and tourists! The only thing that marred our experience on this stretch was being chased by a few local kids yelling ‘chocolate, chocolate’! Sweet at first until they started pulling back on our panniers when the road started going uphill and I was going too slowly to escape. I imagine as other tours go through here that they’d been given treats by other tourists. They meant no harm but it’s pretty unnerving to be unbalanced whilst going uphill with your feet clipped into pedal cleats. Eventually after a lot of angry shouting from Jules an old man came along and gave the kids a good telling off. The last 10 km stretch to Struga on Lake Ohrid is very busy and we were suddenly hit by a fierce headwind blowing off the lake. 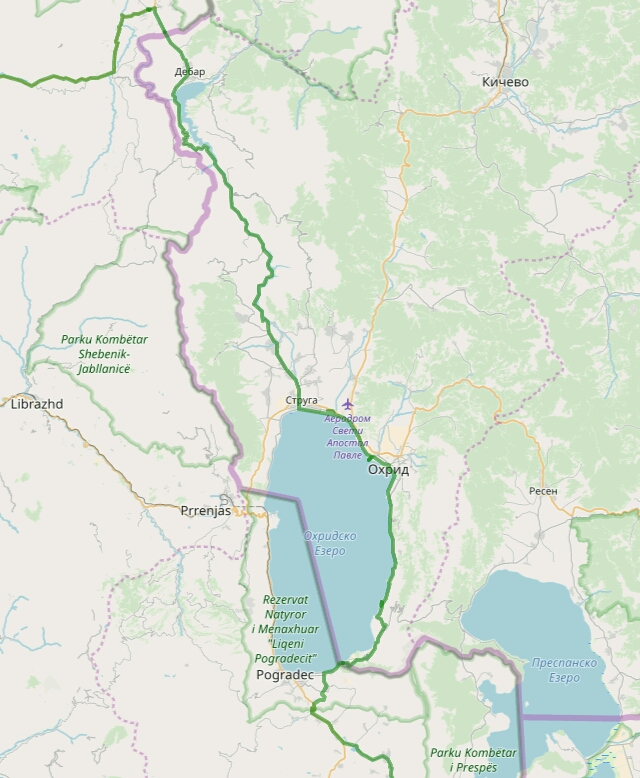 Lake Ohrid is huge and one of Europe’s deepest (300m) and biggest lakes (36 km long). 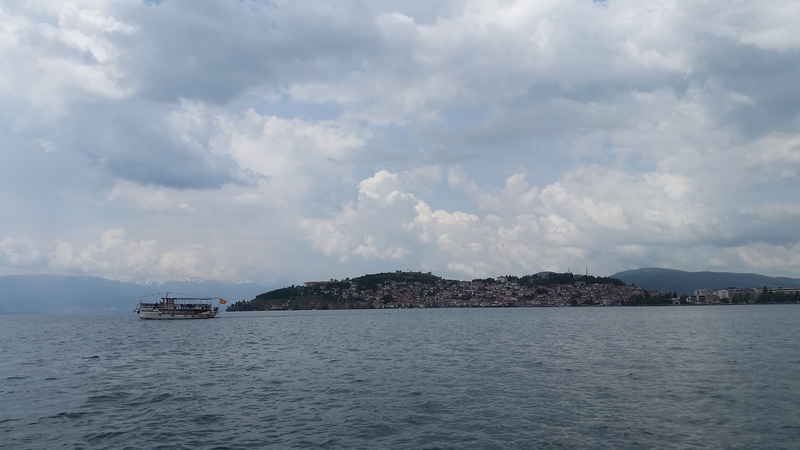 We camped at a scout centre just before the town of Ohrid and spent most of the following day in a cafe by the lake feeling rather worn out, still trying to shake off the bug we’d got in Albania. Needless to say we didn’t get very far that day as the road on the eastern side of the lake, whilst beautiful, undulates steeply. We camped early before another storm hit and continued the ride back to the Albanian border the following day. I didn’t feel like we were in Macedonia long enough to get a really good impression of the country. It was certainly green and we saw a mix of lifestyles, city and rural. People in both areas were helpful and friendly andthe roads good for cycling with few cars in the countryside so we’d have no reservations going back!